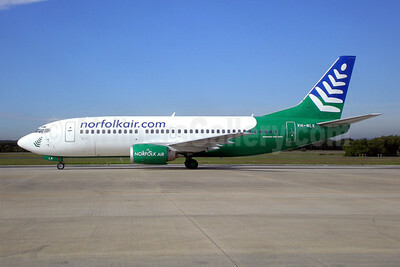 (norfolkair.com) (operated by Our Airline and OzJet Airlines)(N5) (Norfolk Island, Australia) 2006 - 2012 (became Our Airline). Photos. Framable Color Prints and Posters. Digital Sharp Images. Aviation Gifts. Slide Shows. Norfolk Air (norfolkair.com) (Our Airline) Boeing 737-33A VH-NLK (msn 23635) BNE (Christian Laugier). Image: 903581. 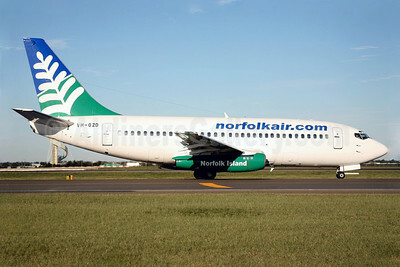 Norfolk Air (norfolkair.com) (Our Airline) Boeing 737-33A VH-NLK (msn 23635) SYD (John Adlard). Image: 902866. 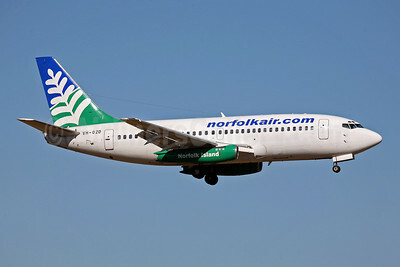 Norfolk Air (norfolkair.com) (OzJet Airlines) Boeing 737-229 VH-OZD (msn 20911) NTL (John Adlard). Image: 902836. 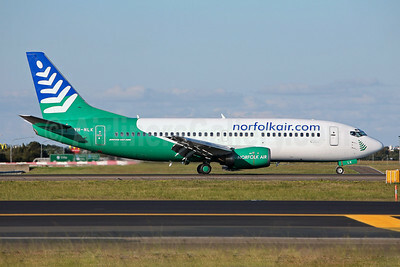 Norfolk Air (norfolkair.com) (OzJet Airlines) Boeing 737-229 VH-OZD (msn 20911) SYD (John Adlard). Image: 902867.